Please enter your details to download the file. Welcome to our new website. Please complete this short survey to tell us what you think. How can we improve www.pragmaworld.net? Send us your ideas and suggestions. Did you accomplish what you came for? How likely are you to return to this website? How likely are you to recommend this website? How did you first hear about this site? Put the right systems, tools and people in place to ensure that your enterprise assets deliver on company goals. With the rise of IoT or Industry 4.0, the business environment continues to change. Operations are leaner than ever, yet companies cannot afford for the quality of their services or products to decline. How to ensure that all resources are leveraged to deliver maximum returns? 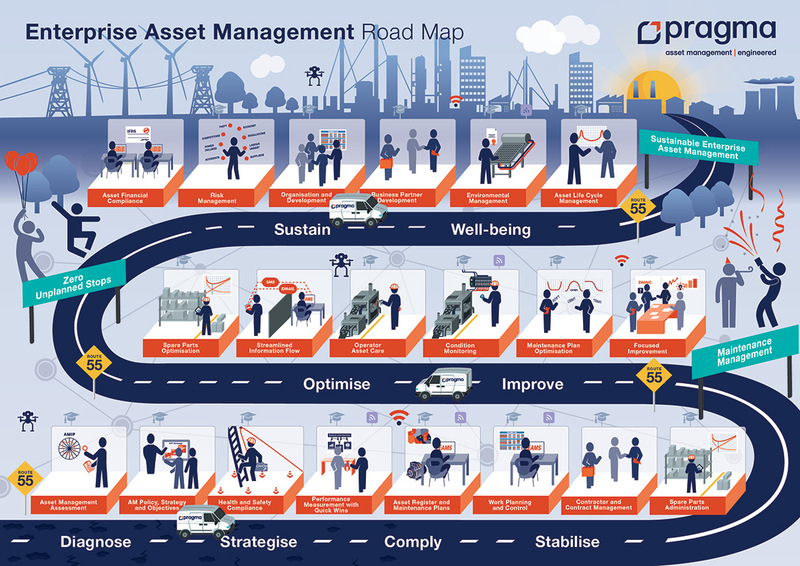 Simple: through fit for purpose, effective asset management. watch The Shell Journey on YouTube. Partnering with us means that all work is consistently performed to a high standard, in compliance with all your internal quality standards and ISO 55000. This is because our business processes and best practices are captured in our Asset Care Pack that has been tested and proven across a variety of industries. Every aspect of your asset management needs can be catered for, ranging from a high-level asset management strategy, focused improvement interventions, the optimisation of resource utilisation, spare parts management or the daily execution of planning and scheduling. Our services can be delivered on any reputable asset management system, such as SAP® PM, Syspro or Sage, depending on the technology choice already embedded in your business. 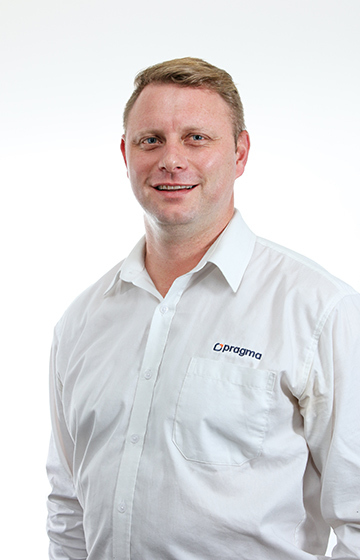 For those clients that do not have a system in place, Pragma’s On Key EAM system provides the ideal platform to manage assets, plan and schedule work and report on asset performance. The functionality we offer in On Key represents our years of experience in asset care and maintenance management and includes elements of work planning and scheduling asset data management, mobility, analytics and reporting. We can help you take care of your assets, ensuring they provide the support needed for you to do business. To learn more about our business processes and how we implement best practice, hover over the scenes in our road map. Place your mouse cursor over a scene to read more about it. The Focused Improvement project at the Marriage Station resulted in a deeper analysis of the assembly process, equipment and risks associated with it. 80% downtime reduction on fuel pumps from 2012 to 2016. One costing model, applied across our 200+ contractors enables us to thoroughly manage/verify invoices. This site is protected by Google reCAPTCHA.